As over 100 million Americans suffer from high blood pressure, consumers should be informed of any potential treatment options available to them. Recently, researchers from the University of Utah Health found that adhering to the latest blood pressure guidelines from the American College of Cardiology (ACC) and the American Heart Association (AHA) may be the key to preventing millions of cardiovascular issues in the coming years. 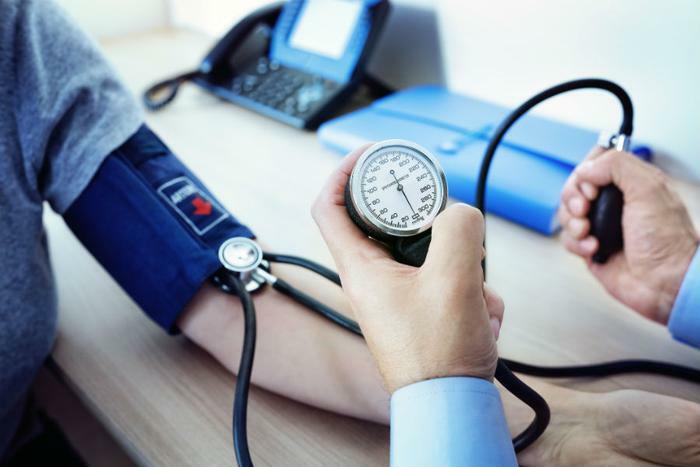 The ACC/AHA guidelines lowered the standards for what is considered high blood pressure in an effort to have healthcare professionals try to help patients at earlier stages. According to the researchers, most cardiovascular issues occur in patients whose blood pressure is above 140/90 mm Hg -- what was previously considered hypertensive. However, under the new guidelines, patients’ blood pressure would be considered hypertensive at 130/80 mm Hg, while a healthy reading would be 120/80 mm Hg. The researchers used information from the ACC/AHA guidelines, the seventh Joint National Committee (JNC7), the eighth Joint National Committee (JNC8), and several population-based databases to predict the ways cardiovascular health can be improved in the coming years. They foresee over three million cardiovascular issues could be prevented if patients stick to the ACC/AHA’s 2017 guidelines. While adhering to these guidelines could be beneficial to millions of Americans, researchers from the ACC/AHA also suggest that many more people will be classified as having high blood pressure. More young people will now be included in this demographic, and the researchers expect more men to be affected than women. Though the researchers think these findings could help millions of people prevent future health complications, they are also aware of the risks associated with diagnosing more people with high blood pressure. Not only is cost a major factor, but healthcare providers that prescribe high blood pressure medication will need to monitor all patients to ensure that they don’t experience any adverse side effects. Overall, Bress and his team believe that medical professionals need to work together with their patients to determine the best course of treatment. Recent studies have explored the countless benefits associated with consumers maintaining healthy blood pressure. For diabetes sufferers, keeping blood pressure under control was found to reduce the number of patients who experience extreme hypertension -- which often leads to organ failure. “Given the fact that the presence of severely elevated blood pressure is the strongest driver of damage to vital organs in individuals with diabetes, the most important intervention for preventing hypertensive emergencies would be to better manage patients’ blood pressure,” said lead researcher Irina Benenson. A recent study also found that teens with high blood pressure could actually be at risk for organ damage. Researchers determined that testing teenagers’ blood pressure has often provided inconclusive results, as many whose numbers fall within normal levels were found to be suffering from organ damage. Changes to diet, exercise, and weight were found to effective for treating teens’ high blood pressure, though medication is sometimes necessary.